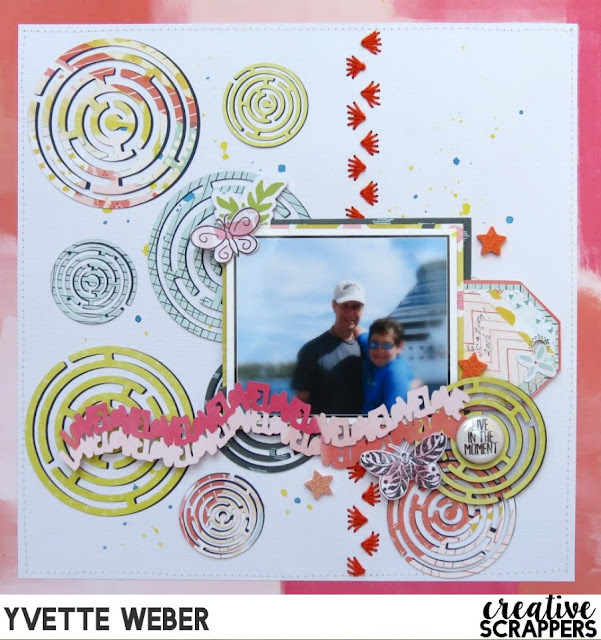 Creative Scrappers Sketch #297-Reveal Day!!! Kristine Davidson has design another awesome sketch... This month Creative Scrappers is team up with the The Cut Shoppe. 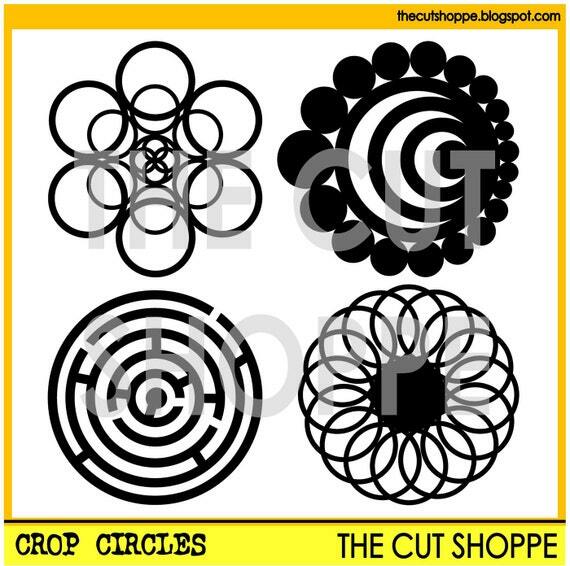 I love the circles in this sketch, and decided to use one of the cut file from the Crop Circles in my layout. I started by cutting three different sizes of the maze cut file onto my patterned paper, using Pink Paislee Fancy Free collection and also a navy blue cardstock. I started to assemble the cut files by placing the patterned paper on top of the navy blue cardstock and overlapping a bit to create added dimension. I also used another cut file for my title Love Rules this was a freebie in February...and I love the wave affect in this cut file with the word LOVE..
Our designers created some FABULOUS layout, go check them out and remember to come back on the 15th to see The Cut Shoppe DT projects! 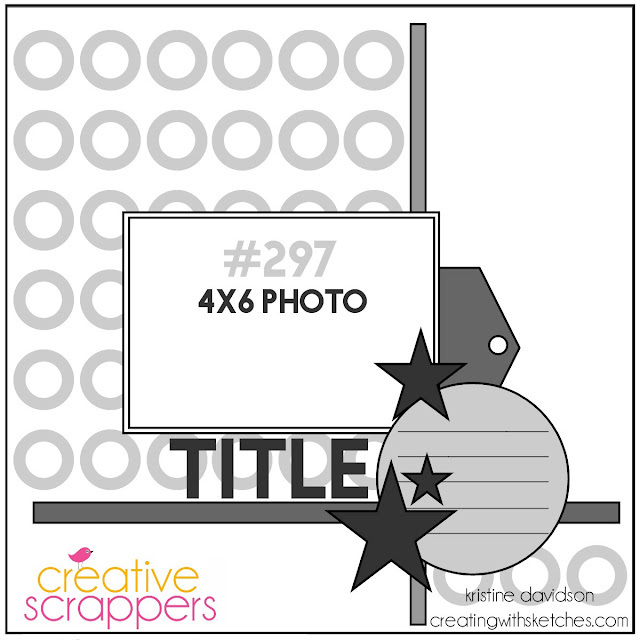 Our sponsor this month is The Cut Shoppe... so create a layout using sketch #297 and enter the challenge using inlinkz widget at the bottom of this reveal on the Creative Scrappers Blog. The deadline to submit your layout is August 31th, a winner will be randomly pick!!! Love your page. Couldn't see any of your "close ups" though, there is just a gray circle with a dash in it. Love your take on the sketch, especially the borders. The stitched one is just amazing! Beautiful layout.